Though Serbia may sometimes be phonetically confused with other countries, such as Syria or Siberia, which are not even geographically close, it remains a hidden gem of Europe. What was once part of the Yu goslavian kingdom, Serbia remains landlocked and largely misunderstood compared to its neighboring coastal countries of Croatia and Montenegro. The capital city of Belgrade has a lot to offer visitors, from its friendly and laid-back English-speaking inhabitants, historical architecture, and world-class vineyards, to its vibrant nightlife, hipster neighborhoods and favorable exchange rate. The gritty beauty of Belgrade lies in its authenticity. Communist era buildings sit alongside historic Belle Époque architecture that now house independent boutiques and cafes. The best way to experience the city is by foot, as most attractions are within walking distance. 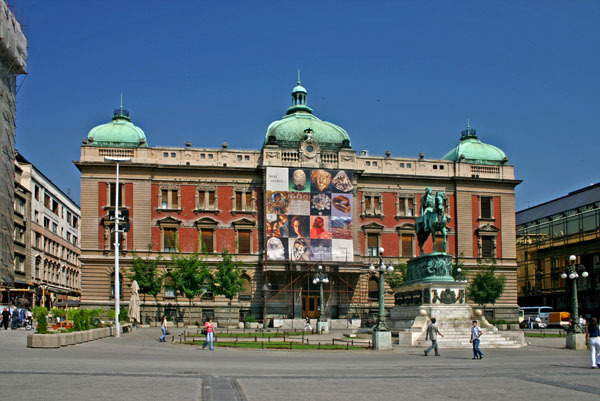 Start at Belgrade Square located in the center of the city, which houses Belgrade’s most important monuments: the National Museum, the National Theater, and the Statue of Prince Michael. This leads into the central pedestrian street, home to international brands and lined with charming cafes that are great for people-watching, as the café lifestyle is part of Serbian everyday life. 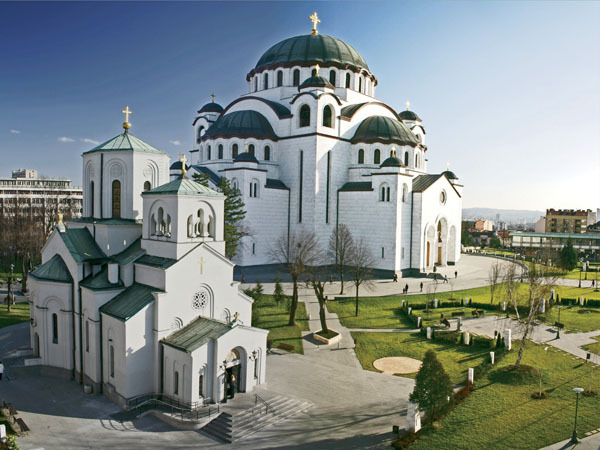 Visit the beautiful Church of Saint Sava, one of the largest Serbian Orthodox churches in the world. 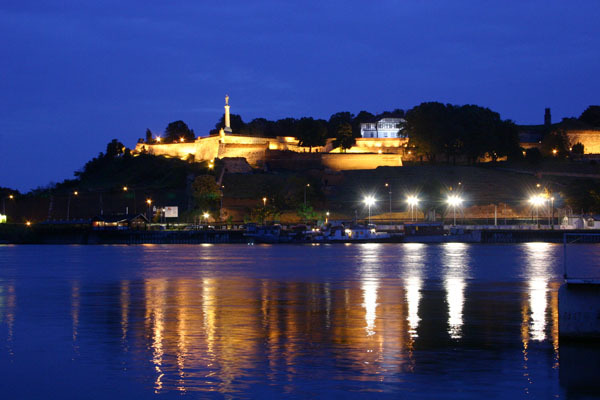 It prominently dominates the Belgrade skyline and has withstood the many wars Belgrade has experienced. Dedicated to Saint Sava, one of the most important religious figures of medieval Serbia, this is also where Sava is interred. For some of the best views over the city, venture to the Belgrade fortress in the Kalmegdan Park, which rises high above the confluence of two rivers: the Sava and the Danube. 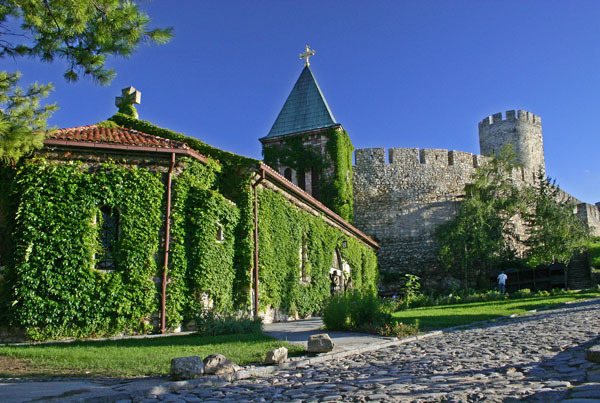 Originally built in the second century, the fortress has been destroyed and rebuilt over the last sixteen centuries, epitomizing the fortitude and strength of the Serbians who defended their city against the Romans, Turks and Austro-Hungarians. Across the Sava River is the Museum of Contemporary Art, which houses a broad collection of artwork dating from 1900 that was produced in Serbia and in the former Yugoslavia by many artists unknown outside this region. With the many parks and rivers that cut through central Belgrade, Serbians enjoy a high quality of life outdoors. From day to night, locals congregate along the shores of the beautiful Ada Lake, known as Belgrade’s seaside, where they spend hours swimming, sun tanning and dining at alfresco cafes. This peninsula is nestled within a forest of natural floral and fauna, providing a peaceful oasis in the city. We recommend the nautical-inspired Smokvica Ada, a popular farm-to-table Belgrade chain, offering an extensive international menu with plenty of lounging beds to enjoy the day. With the favorable exchange, dining out is relatively inexpensive compared to the rest of Europe with most entrees priced under $10 and a glass of wine under $3. Being a landlocked country, traditional Serbian cuisine is very hearty and largely meat focused. Experience the Old World charm of Serbia at Kafanica, set in a charming wooden cottage in the Kosutnjak Park in the outskirts of Belgrade. It will transport you back in time to a medieval countryside village where you will enjoy delicious local cuisine with hearty portions of BBQ’d meats and national dishes like veal soup. 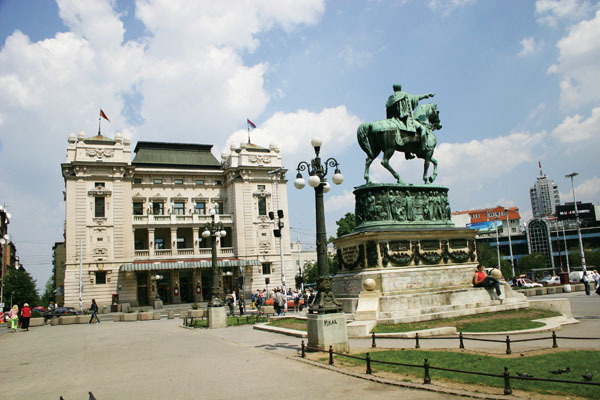 One of the biggest attractions of Belgrade is the Bohemian quarter of Skadarlija. Similar to Paris Montmartre at the turn of the century, this beautiful cobblestone street is lined with historic restaurants serving traditional Serbian cuisine. The place comes alive at night with gypsy musicians and actors who contribute to the lively atmosphere. Dorcol, the oldest section of the city, is also Belgrade’s hippest counter-culture neighborhood and the central hub of the city’s buzzing creative community. Home to many independent boutiques, vintage shops, art galleries, street art, nightclubs, and trendy restaurants, it is also filled with the best cafes in Belgrade for people-watching. Dine at uber hip Holesterol restaurant in Dorcol Platz, which ironically classifies the menu into HDL if you are craving something light or LDL for richer options. For the best nightlife in Belgrade, head to Beton Hala, a favorite destination amongst Belgrade’s stylish set, offering gorgeous views of the Sava River. One of the best Italian restaurants in Belgrade is the chic modernist Communale Caffe e Cucina—a great place to grab a drink or Italian wine, or to indulge in homemade pastas and grilled seafood with a killer tiramisu. A favorite local restaurant and lounge is the alfresco bi-level Voulez Vous restaurant in the elegant Mitrovica neighborhood—another great place for people-watching. The international menu serves a variety of Mediterranean specialties along with contemporary Serbian cuisine. To view beautiful preserved Belle Époque and Art Noveau architecture with Hungarian influences, venture north to the town of Subotica and be sure to visit the local synagogue known for its striking architecture. On your way back, visit Serbia’s most famous winery, Zvonko Bogdan, the namesake vineyard for the beloved Serbian singer. Enlist the help of Srdjan Ristic of Explore Belgrade to arrange a private tour and be guided on an in depth exploration of Belgrade and Serbian history and culture. Stay in the centrally located Hotel Metropole within walking distance to all of Belgrade’s attractions. This five-star hotel is part of the Luxury Collection with luxuriously appointed rooms and comfortable amenities, such as a pool, a full spa, and a gym to relax and unwind. Recharge in the morning with their extensive breakfast buffet that offers alfresco dining with park views. Grab a drink at sunset at their rooftop bar with unsurpassed panoramic views over Belgrade. 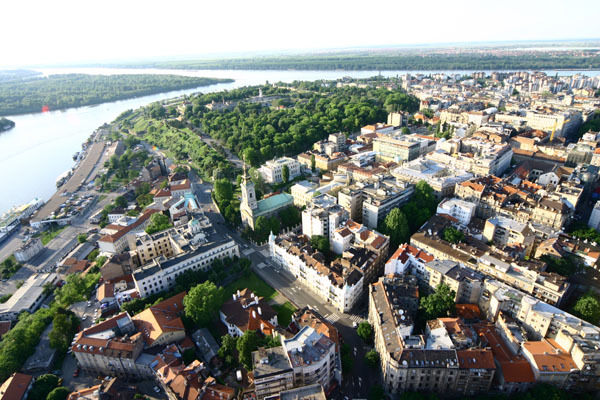 The best way to arrive in Belgrade is via Air Serbia, which offers direct flights from JFK to Belgrade in only 10 hours. Fly in style in their business class with fully flat beds in configurations that offer the utmost in privacy.